Tiffany Evans, 34, of Dover. A Delaware woman who allegedly flipped her lid and threw hot coffee at a Wawa employee is now facing multiple charges following her outburst Wednesday night. Authorities said the incident occurred around 8:45 p.m. at the Wawa located at 1450 Forrest Ave, in Dover, Delaware. Tiffany Evans, 34, allegedly placed an order at the sandwich counter and stood with a watchful eye as her meal was prepared. 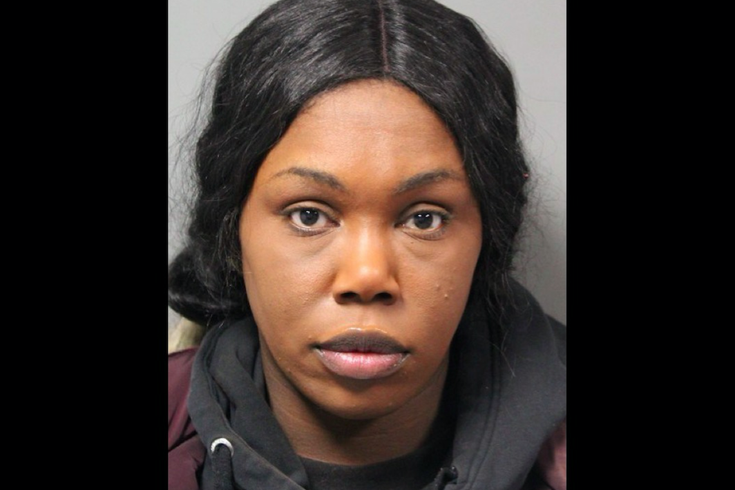 When Evans spotted a male employee making what she believed to be a mistake on her order, she allegedly began to yell at the man, police said. A female employee told Evans not to talk to her co-worker that way and told her that another sandwich would be made for her. The replacement sandwich didn't satisfy Evans, who began to argue with the female employee, according to police. Their confrontation escalated until Evans allegedly threw her coffee into the employee's face, causing burns. The male employee's cell phone and about $200 worth of food products in the sandwich prep area also were damaged by the coffee, police said. Shocked by the incident, the female employee walked around the counter and continued to argue with Evans, who allegedly pepper-sprayed the employee before fleeing the scene in a white Honda Accord. Authorities said Evans later turned herself in without incident. The Wawa was forced to close for about an hour to clean up after the incident and to allow the pepper spray to dissipate. An ambulance transported the female employee to be treated for minor burn injuries, police said. Evans is charged with assault, offensive touching, criminal mischief, terroristic threatening and disorderly conduct. She was released on $7,800 unsecured bond.